100% Brand new and Premium Professional Grade MACTISICAL 3D Printer Hot Bed Power Expansion Board . This module is based on power mosfet and will allow PID control of the heated bed (DC-DC Relays usually do not allow this). According to the thermal power of the bed, please choose the matching power supply, with sufficient margin. 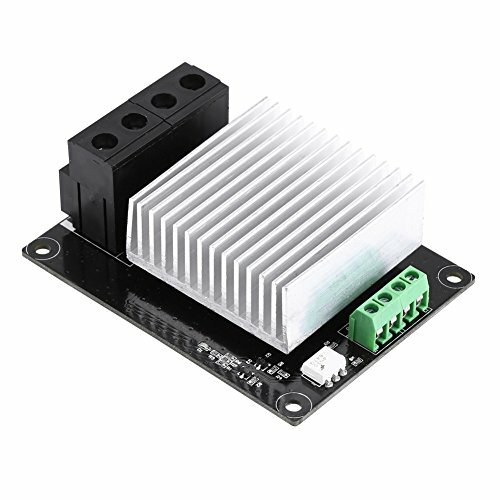 High-Power heated bed is recommended to use 24V power supply,under the same power requirements, the current is smaller than 12V. Mounting Holes: D=3.2MM For M3 Screws. Under the premise of normal cooling, it work stable under I(Max)=25A, the current must not exceed 25A while the process working. Please do not hesitate to contact us if there’s any problem or question about our products. We will keep improving our products and service, and try our best to meet customers’ needs. Thank you for supporting MACTISICAL. ★ WELL MADE- New material with superior quality stainless, High-grade Aluminum block for best connectivity and long life. 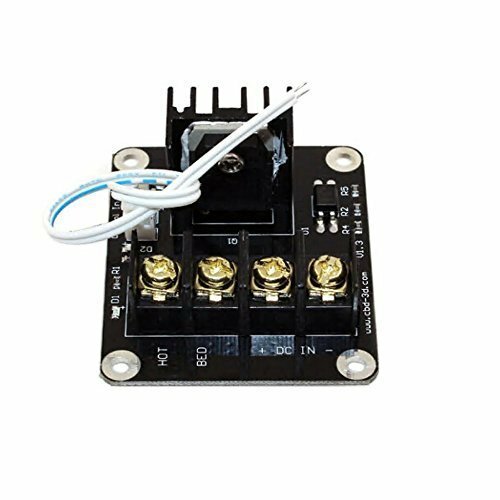 ★ HIGH TRANSMISSION – With this addon module to your 3D printer motherboard you can lead the maximum current up to 25A. 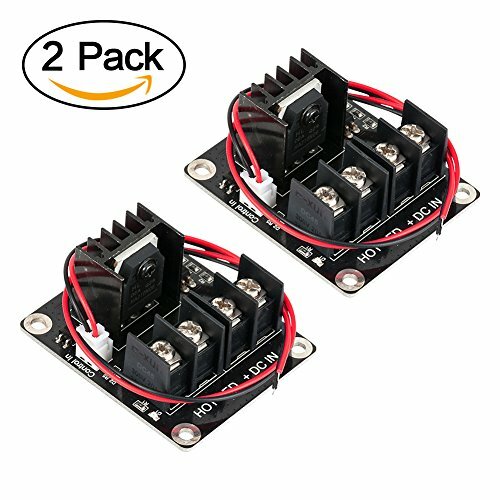 ★ MULTIFUNCTION – Completely solve the hot bed power is too large and load current problems,and can well protect the connectors on the controller board from overheating. ★ MEET YOUR NEEDS -Widely used for common 3D printer models,extruder and other open 3D printer motherboards.such as Anet A8, etc. ★ WARNING – For use on some devices (for example,Anet A8),you need to make sure the power supply is set to 110 volts instead of the default 220 volts.If the voltage is too high, the product will get super hot, even charred!! Don’t touch it lightly. 1. Plug a power supply. 2. Connect to heated bed. 3. Connect digital control signal to GND, D8 of MKS Mini. 4. 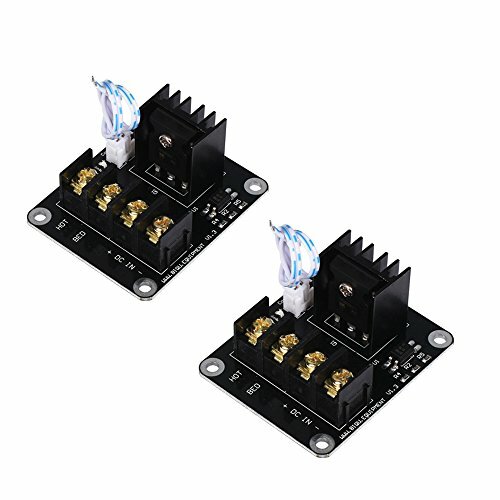 Connect to the heated bed signal on Ramps1.4 or MKS series controller boards. 1. Only can choose 3 or 4 signal group. 2. Pay attention to polarity. Each one has been done functional test. Superior performance of MOSFET (Max 280A). Can use for hot bed, output signal of Ramp1.4 and MKS series to control. Can use digital signal of 5-24v to control. Extra large heat sink , the maximum current can be up to 30A or more. Note: Any issue please contact us before, we will always here to help!